Essential plot rundown: A family is being haunted. I never saw the original before, but I kept hearing how scary it was. So, when I saw that it was screening before the sequel, I took advantage and saw them both in the theatre. And I'm glad I did. Insidious was terrifying. It's been a while since I've seen a movie that gave me goosebumps and I had never seen a movie that made me want to cover me eyes. It was that scary. A lot of the scares are jump scares (which I'm not a big fan of) but the filmmakers use them effectively. And there are some atmospheric chills as well, so that was a plus. And the story was good too. I thought it was interesting how they explained the whole haunting scenario. And it resonated with what I personally believe. I thought the actors were believable. Overall, it was a really well made, effective movie. But there are some parts when the film shows too much of the ghosts; which I always find cheapens the mood. Showing too much takes away from our imagination, which is scarier than anything on screen. And that was really my only complaint. There is also a part in the first one that may or may not have been a homage to William Castle's 13 Ghosts. That scene dreadfully made me want to cover my face. 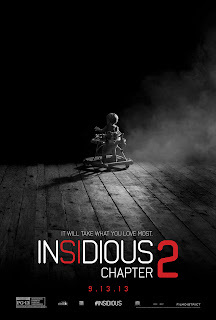 Insidious: Chapter 2 virtually takes place right after the first one. And this one was different from its predecessor. The sequel is a natural evolution from how the first ended. And because it continues the story instead of trying to rehash the first, it has a different feel to it. It wasn't as scary, but it was funnier. The story was also a little more complicated, which I think worked against it. There are some flashback scenes, so they have other actors playing younger versions of some of the characters. And they worked great. Sometimes when they have a different actor playing a younger version of a character, it seems weird. But the actresses chosen looked and acted like the older characters. I totally bought that they were suppose to be the same people. And there are some parts when the filmmakers combine traditional cinematography with the found footage style. I found it distracting. Overall, they are effective films. The first one is truly spine tingling. I thought I was going to die. 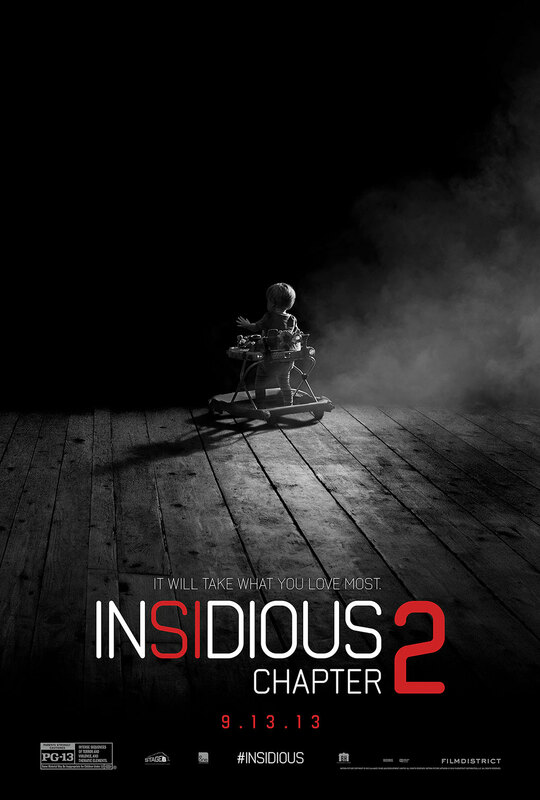 Insidious: Chapter 2 is a scary film, but not on the same level as the first. But they are both worth watching.